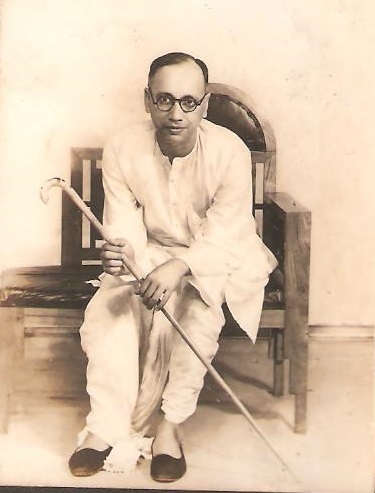 My great grandfather, Jatindramohan Guha was the first in his village Qutubpur in the district of Faridpur in East Bengal (present Bangladesh) to venture, after completing his studies, as far as Rangoon, the capital of Burma in the 1910s1. It was a long journey of over 1500 kilometres that could only be covered by taking the ship from the ports of Calcutta and Chittagong. Jatindramohan joined the Audit and Accounts department of the British government as a clerk, a position that members of his community in Bengal were known to serve with diligence. He married the young Prabhabati Dutt whose family was from the city of Dhaka (now capital of Bangladesh) on June 2,1918. At a time when children came soon, his daughter was born 7 years later, not before the larger family was beginning to despair. Jatindramohan was thrilled at the birth of his daughter even though in his society, a son as the first born would have been preferred. 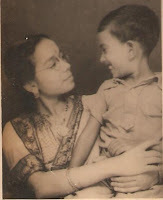 He took Leena, his daughter (my grandmother) to Rangoon when she was two and a half years old. She was born in Dhaka but he was determined to give her a ‘proper’ education in English, inaccessible to girls in rural Bengal. In bringing his family abroad for this purpose, the extended Guha family scorned at Jatindramohan but this had little impact on his resolve. Leena was soon enrolled at Sharada Sadan Vidyalaya for Girls2, a local English-medium school which was run by Indians, chiefly from the province of Bengal. 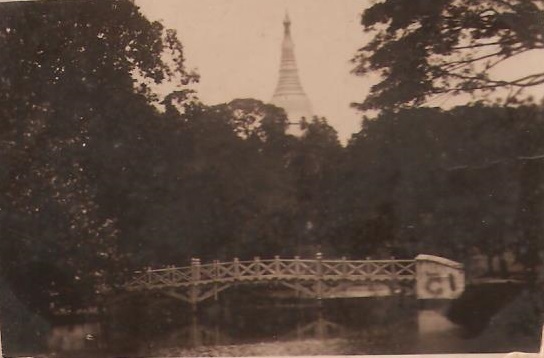 It was solely for Indians and therefore no local Burmese girls studied there. It was Jatindramohan’s dream to have her study in an English medium school, somewhat of an indulgence for a girl at that time3. Life in Rangoon was peaceful and very orderly. For my grandmother, there were major contrasts to living in India. In her later life, she fondly remembered the serenity of Rangoon in comparison to the manic hubbub of Calcutta, where she would spend some of her adulthood. The Guhas lived on Brooking Street4. Back then, the area was mostly occupied by Indians5. This did not seem to bother the GuhasThe family lived on the top floor of a four-storied apartment block. Leena recalls how there used to be a narrow alley running behind the buildings, set aside for throwing garbage that was cleared every morning. The frontage of all houses, therefore, always looked spick and span, something she missed when she had to navigate through the littered streets of Calcutta later. There were pedlars who sold things of everyday need, including food and wares of a whole variety (from pins to elephants, my grandmother, jokes). Customers had to clap their hands to draw attention to be served. Leena blossomed in Rangoon; she did well in school, made friends who were to remain her lifelong companions, and as she wistfully remembers started her lessons in playing the sitar when she was fourteen. 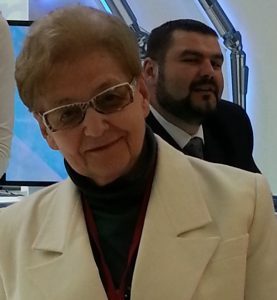 She loved music and cherished the experience as music became her life-long passion. Domestic life for the Guhas, however, was not always smooth, as they had to reckon with their share of tragedy along with happiness. Jatindramohan and Prabhabati’s son, Moloy, was born in December 1929. He died at the young age of 8 in the autumn of 1937 of typhoid, a common but incurable disease. Their second son Ashis was born in Rangoon two years later in 1939. An older cousin who lost her mother at birth also came to live with them. It was a full house. Against the backdrop of their life, the world was fast changing. Though the Second World War began in 1939, it hit the shores of Burma in 1941 when the Japanese started bombing Rangoon6.Following the second bombing of the capital, the British government ordered that all Indians must evacuate Rangoon7.By August 1942, the situation had turned dire and the Guhas realised that they would have to leave their home in Rangoon. Jatindramohan’s office had moved to a suburban town and a large number of Indians had already started their journey back to India. Slightly unprepared, the Guhas packed whatever little they could carry and moved to the port town of Tinanjan (as my grandmother remembers it) where an extended part of their family lived. Prabhabati with her two children (the cousin was already married and had moved out) finally boarded the last ship that was leaving for Chittagong in August 1942. The passage to Calcutta had stopped. In the few trunks that they were allowed, the Guhas packed the essentials. Leena had to leave her beloved sitar behind. They also could not put in an enlarged photograph of Moloy, the son they lost. Jatindramohan walked back with thousands of other emigres later that year when it became practically impossible to stay on. Leena with her mother and brother reached their village in Qutubpur when they received a telegram from Jatindramohan that he was setting out with thousands others. Then for a month, there was no news. Just when the family feared the worst for him, Jatindramohan appeared like an apparition, emaciated and very ill from walking that long distance home. The family then moved to cities in northern India. Leena married an army officer in 1946 and had her share of travelling the country. But she never went back to Rangoon, nor could she ever take up lessons in sitar. Very inspiring and well written story. We all are very proud of you. Well done !